Our print knowledge is rock solid on over 15 years of Industry experience. Our designing techniques are based on the traditional PRINT MEDIA requirements. We design for businesses and private to print simple Flyers to intricate high-end marketing material. 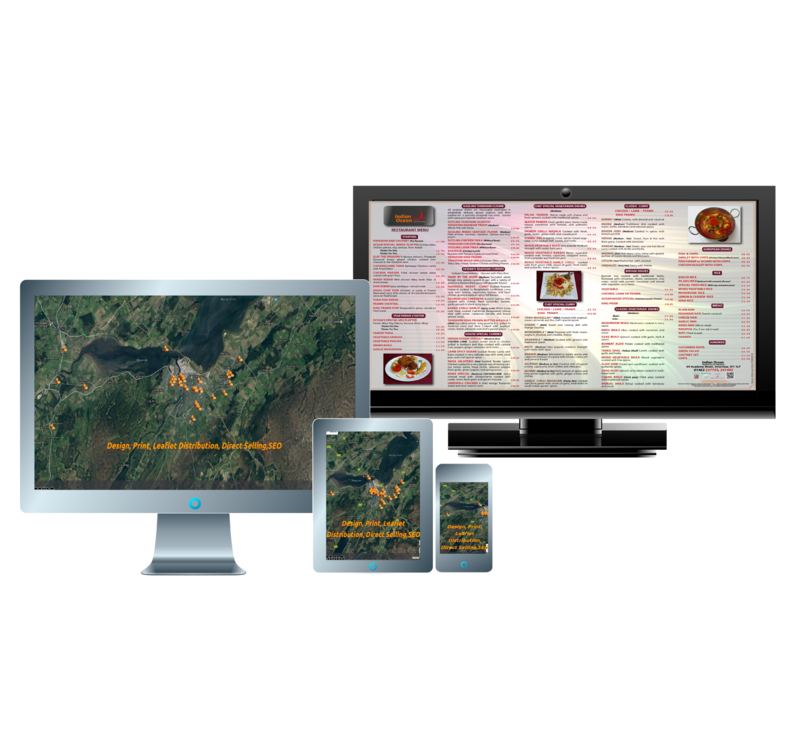 Our creative portfolio includes takeaway menu, restaurant menu, flyers, business cards, brochures, marketing literature, books, signage and large format display..
At Intrilo Business Services, we meet all your brand design needs in time..!! Successful 'Brand experience' is always planned ahead and accomplished with stipulations! When we say 'creating', we mean researching and identifying the personality of your business. It might start with the very idea of deciding your service area, finding a name, considering the psychology of colors, fixing and modelling a theme for your environment, analysing the location of your business, designing the logo, designing your documents, making marketing material, designing the sign board, elevating it at right view, choosing paint, decorating the interior, finding a domain name, designing your website, designing your daily usable, designing your ads, creating presentations and promotional designs, setting up social media and updating.. Well, we can provide the tools to derive at solutions..yes, it is all about embellishing your desire to be successful..your business, your dream that keeps you awake! Well lets' have a cuppa and discuss your mind! Once we have heard you, we can storm our brains to translate the gist of your thoughts combined to plan your colors and designs.. Yes, we can design all that you need to promote your interest! We design for 'Print, Media and Signage'. Name, Logo, Copywriting, Appointment Cards, Booklets, Bookmarks, Books, Brochures/ Magazines, Business Cards, Calendars, CD/DVD Booklets, CD/DVD Covers, Clipboards, Compliment Slips, Desk Pads, Dissertations, Dividers (separator sheets), Doctoral Theses, Document Folders, Packaging, Door Hangers, Drawing Folders, Digital Album, Election Posters, Envelopes, Flyers/Folded Flyers, Folded Cards, Folders, Greeting Cards, Invitations, Job Application Folders, Labels Letterheads, Lever Arch Files, Loyalty Cards, Magazine Files, Memo Pads, NCR Papers, Note Pads, Note Books, Packing Tapes, Pamphlets, Paper Bags, Plastic (Business/ Gift/ Privilege/ Membership/ ID) Cards, Plastic Sleeves, Postcards, Posters, Ring Binders, Ring Folders, Sales Folders, Seminar Folders, Slipcases, Stamps, Stickers, Sticky Note, Student/Resident Magazines, Tablet Hard Covers, Tickets, Wedding Cards and Wedding Magazines.. Responsive Websites, Mobile Applications, Social Media setup and Updates, Web Banners, E-mail inserts, Commercials and Mock layouts, Layouts for TV programmes and Commercials, Layouts for physical models, User Interface for software, Editorial Designs for virtual Books, Magazines and Blogs. Layouts for digital Presentations and Training Software.. 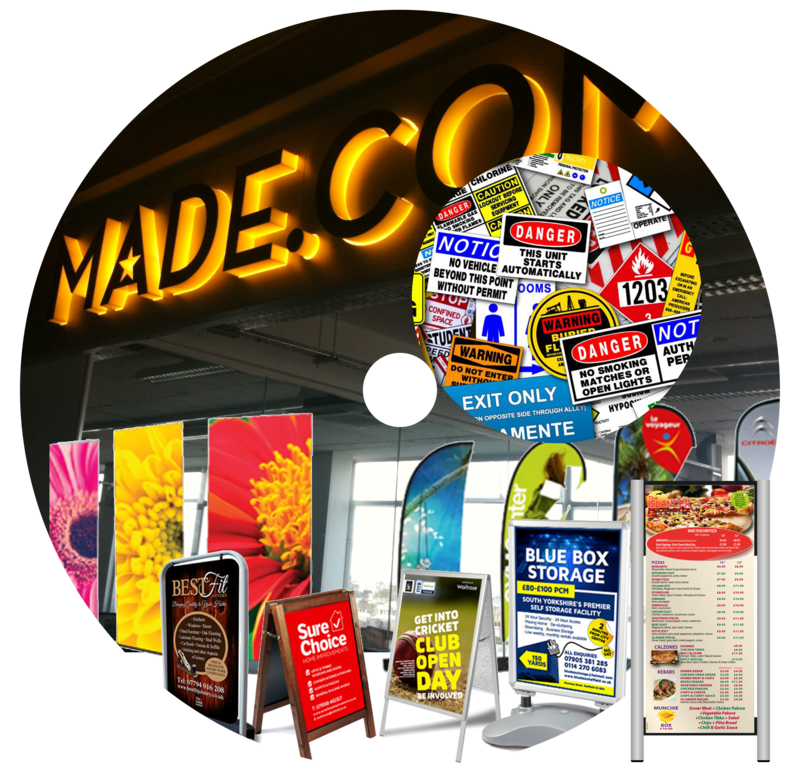 External Sign Boards, Internal Sign Boards, Exhibition Setting, Vehicle Livery, Legal Signs & Stickers, Costume Printing and Embroidery..
On an appointment, the Brief is developed with a series of questions and answers. A direct Visit to you is an added advantage as the location, Photographs and Documents can be of an inspiration. The documentation of our Brief includes the Brand Statement, Project Background, Target Audience, Advertising Objective, Message to the Consumer, Key benefit to the consumer and Supportive Consumer Benefits.. The plan is to deliver exactly what you want! Great brands are unique designs. Those brands attract recognition. The making of such designs is great work, needing research and planning. Tell us about your target market and the service your brand offers.. We might need a little more about it.. And that's it! We research on the unique characteristic of your brand. We will look into the successful new brands in the same arena, the process used in the making, the history and the concept behind your brand..
We do sketching rather than drawing; focusing on speed, creativity, and iteration rather than on one precise depiction of a single concept. The data collected and summoned is materialised physically or virtually without limits..Its a scratch sketch! We include explanation, illustration, animation, and hands-on demonstrations of concepts such as sketching basic shapes as well as more complex forms for animation and video making. It's time for a resit! We don't believe in mailing across few key metrics. We need to tell you the story! Placing you and your business at the centre, let us discuss your concept again to refine it. Fixing the corrections and confirming the job is the key at this stage. Once you know what you need, we can tell you what it costs. We discuss the time scale for designing, testing, delivery, deployment and service. By mutual agreement, we can set for the 'Design'..
Keeping the Brief as the directive; we have done the research, have gone through the brainstorming, developed the content, completed copywriting, refined the concept and got the sketches approved. Now it's time to move on to the actual design phase. We create 2 styles of the same design, that you can combine some elements if you need to. Mock designs are made for intricate branding concepts, event visualisations and video productions. Designer's devil..It's always just out there. During the production, there is a possibility of leaving out the most important element or creeping in an unwanted theme altogether. We need to check the consistency in fonts, colours, shadows and every minute details. It is the time to compare the design with the original brief to check that we have made the point! We deliver the Proof: a) Printed on Paper. b) E-mail c) Memory Stick d) CD e) Web Link f) In-Studio. Reviewing a work at this stage is very important. The key concern must be in examining the ability to deliver the 'Briefing'. The possibilities and limitations of the technology have to be considered at this point. If any major shift is considered, the cost has to be assessed. We will build the entire project with all components coming together. The Reviewed work is approved for the core design and the time scale is discussed and fixed. A second review is possible if required. Designs for the Print, once approved are forwarded to the press and the printed material is dispatched to the agreed address. Designs for the Media are posted / e-mailed / hosted in the server / copied to the CD/DVD/Memory Card / viewed in-studio, as offered. Designs for the Sign are transferred for printing, assembly and installing. The original design files are the sole property of Intrilo Business Services, unless specified and paid for the possession. Call Tel: 01463710507 / Mob: 07904606159 / E-mail: intrilo@gmail.com / Visit: Intrilo Business Services, 10 Columba Road, Inverness, IV3 5HQ / Click to use the Contact Form. Our design studio is equipped with top notch hardware and cutting edge softwares. The 'Studio+Designer' service is available for booking to create your desired designs for Print, Media and Signs. Working along with a Graphic Designer is time saving and rewarding. We appreciate, you make a 'Briefing' and bring enough materials in the right format to be used in the design. All material used, including images and copywriting must comply with the British copyright laws and must not be defamatory, obscene or otherwise illegal. Intrilo Business Services takes no responsibility for neglect or infringement regarding the use of the material. Our design service for the Offset printing is outstanding and of the highest quality. We design for print nearly everything on paper. Contact us your convenient way to discuss or send supporting material for designing. Logo, Images and Texts sent must be of minimum 300dpi for better print result. We will follow our design protocoll 'Briefing, Researching, Sketching, Refining, Designing, Proofing, Reviewing and Delivering' for the best possible result. Our design service for the virtual world is cutting edge and uptodate. We design for the offline and online digital world. Contact us your convenient way to discuss or send supporting material for designing. Logo, Images and Texts sent must be of minimum 300dpi for better manipulation and viewing result. Our design service for the Signage is crisp and trendy. We design for the marketing tools your business need. Contact us your convenient way to discuss or send supporting material for designing. 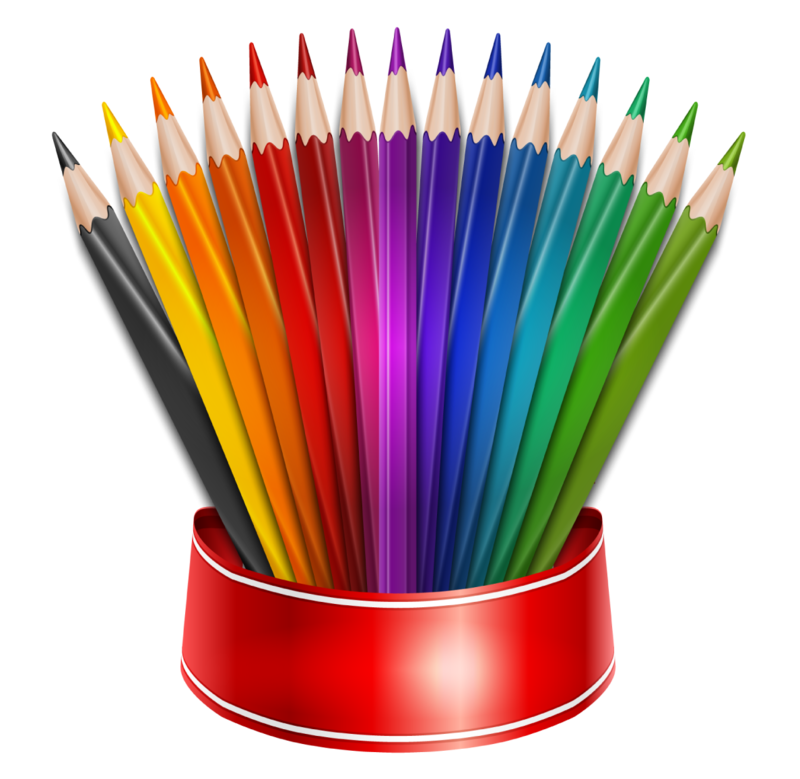 Logo, Images and Texts sent must be of minimum 300dpi for better digital print output. We will follow our design protocol: 'Briefing, Researching, Sketching, Refining, Designing, Proofing, Reviewing and Delivering' for the best possible results. Pricing for a Design is largely depending on the complexity of the design and the availability of information and resource. Our regular studio charge is £40/Hr. At the 'Refining Stage' in our design protocol, we will fix the cost. Full payment must be received at the time of booking the Design Studio. Cancellation can be made before 48hrs only. As the compensation for cancellation, we charge a fee of £40.00 or whichever is higher and the balance amount will be returned. Credit terms, if any, agreed are strictly for 7 days from the date of the invoice. All payments must be made in the Inrilo Bank A/C details given in the header of the Quote/Invoice.